Kids and teens with conduct disorder are highly visible, demonstrating a complicated group of behavioral and emotional problems. Serious, repetitive, and persistent misbehavior is the essential feature of this disorder. These behaviors fall into 4 main groups: aggressive behavior toward people or animals, destruction of property, deceitfulness or theft, and serious violations of rules. To receive a diagnosis of conduct disorder, a youngster or adolescent must have displayed 3 or more characteristic behaviors in the past 12 months. At least 1 of these behaviors must have been evident during the past 6 months. Diagnosing conduct disorder can be a dilemma because kids are constantly changing. This makes it difficult to discern whether the problem is persistent enough to warrant a diagnosis. In some cases, what appears to be conduct disorder may be a problem adjusting to acute or chronic stress. Many kids with conduct disorder also have learning disabilities and about 1/3 are depressed. Many kids stop exhibiting behavior problems when they are treated for depression. The U.S. Department of Health and Human Services estimates that between 6 and 16 percent of males and 2 to 9 percent of females under age 18 have conduct disorder that ranges in severity from mild to severe. 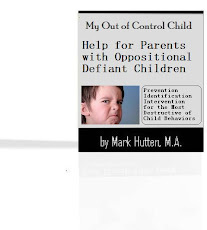 Other serious disorders of childhood and adolescence commonly associated with conduct disorder are attention-deficit/hyperactivity disorder (AD/HD) or oppositional defiant disorder (ODD). The majority of kids and teens with conduct disorder may have lifelong patterns of antisocial behavior and be at higher risk for a mood or anxiety disorder. But for many, the disorder may subside in later adulthood. The social context in which a student lives (poverty or a high crime area, for example) may influence what we view as antisocial behavior. In these cases, a diagnosis of conduct disorder can be misapplied to individuals whose behaviors may be protective or exist within the cultural context. A youngster with suspected conduct disorder needs to be referred for a mental health assessment. If the symptoms are mild, the student may be able to receive services and remain in the regular school environment. More seriously troubled kids, however, may need more specialized educational environments. 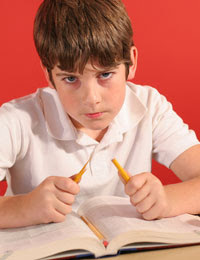 Children with conduct disorder like to engage in power struggles. They often react badly to direct demands or statements such as: “You need to...” or “You must...” They may consistently challenge class rules, refuse to do assignments, and argue or fight with other children. This behavior can cause significant impairment in both social and academic functioning. They also work best in environments with high staff/student ratios, 1-to-1 situations, or self-contained programs when there is plenty of structure and clearly defined guidelines. Their frequent absences and their refusal to do assignments often leads to academic failure. • Avoid “infantile” materials to teach basic skills. Materials should be age-appropriate, positive, and relevant to children’ lives. • Avoid escalating prompts such as shouting, touching, nagging, or cornering the student. • Be aware that adults can unconsciously form and behaviorally express negative impressions of low-performing, uncooperative children. Try to monitor your impressions, keep them as neutral as possible, communicate a positive regard for the children, and give them the benefit of the doubt whenever possible. • Consider the use of technology. Children with conduct disorder tend to work well on computers with active programs. • Establish clear classroom rules. Rules should be few, fair, clear, displayed, taught, and consistently enforced. Be clear about what is nonnegotiable. • Have your children participate in the establishment of rules, routines, schedules, and expectations. • Make sure curriculum is at an appropriate level. When work is too hard, children become frustrated. When it is too easy, they become bored. Both reactions lead to problems in the classroom. • Maximize the performance of low-performing children through the use of individualized instruction, cues, prompting, the breaking down of academic tasks, debriefing, coaching, and providing positive incentives. • Remember that kids with conduct disorder like to argue. Maintain calm, respect, and detachment. Avoid power struggles and don’t argue. • Remember that praise is important but needs to be sincere. • Structure activities so the student with conduct disorder is not always left out or the last one picked. • Children with conduct disorder often do well in programs that allow them to work outside the school setting. • Systematically teach social skills including anger management, conflict resolution strategies, and how to be assertive in an appropriate manner. For example, discuss strategies that the children may use to calm themselves when they feel their anger escalating. Do this when the children are calm.